In March 2015 I was offered to join a team of very talented designers and to create a special collection for one of China's biggest furniture manufacturers - Sun Hoo. Sun Hoo is a well established company on the Chinese market, but looking to expand to Europe. They recently opened a design centre in Milan. To mark this and celebrate their 25 year anniversary, the company invited a team of European designers to collaborate with them. The brief was easy - design anything you want. Sun Hoo is not producing (yet). We named our collection 'house guest' - a perfect symbol for the Chinese and European creative union we were a part of, while also referring to Sun Hoo's business. 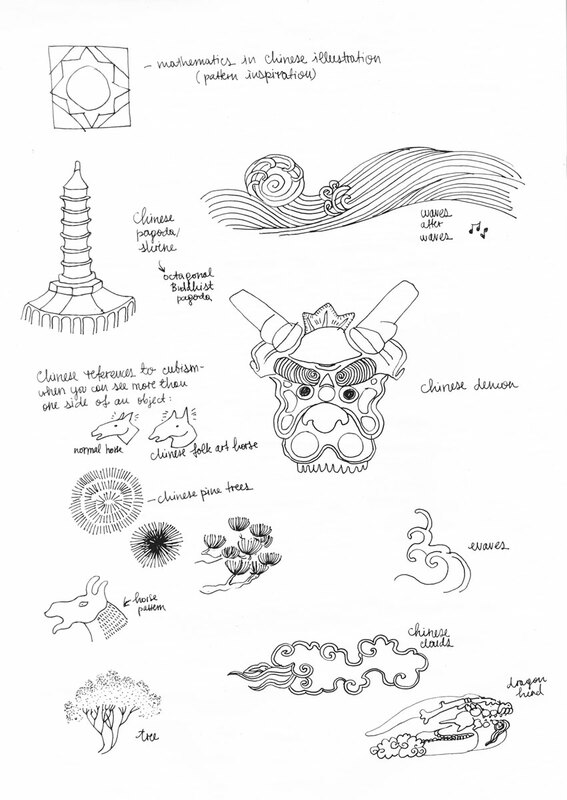 Chinese mythological folk art, combined with modern European illustration were our main inspirations. We looked at a lot of traditional Asian art, both online and offline, and combined it with our knowledge of contemporary art and design. From there we derived our 'hero illustration' - two tigers (Sun Hoo means 'two tigers' in Chinese), coming from opposite directions, both similar, but also both different, meeting halfway, embracing in an exchange, and looking back to where they come from - this time with a new outlook. This image wasn't used directly, but it inspired the rest of the collection - so we concentrated on contemporary hand-drawn patterns, monochrome colors, and Asian symbolism. We were invited to present our collection at Sun Hoo's annual national summit in China. We got to show our work and speak to an audience of more than 1000 people, all while streamed live too. The feedback was extremely positive and we may be collaborating with the client again.